Dane DeHaan to star in Angelina Jolie's Unbroken? 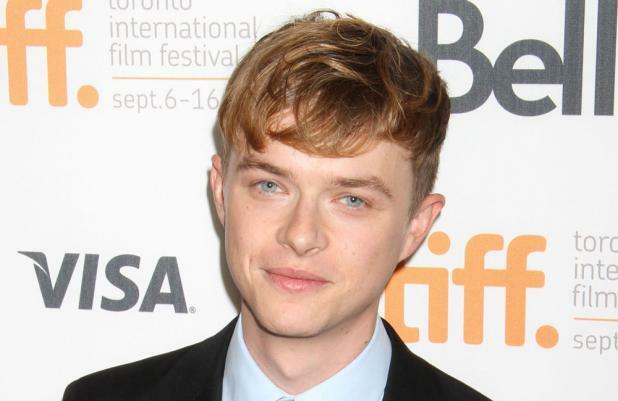 Dane DeHaan is in the running for the lead role in Angelina Jolie's 'Unbroken'. The 'Chronicle' actor is in contention to play Louis Zamperini, a former Olympian and World War II bombardier, according to Deadline. As well as DeHaan, Jolie is said to be considering 'Resistance' actor Alexander Dreymon and Jack O'Connell from hit TV series 'Skins'. Joel and Ethan Coen wrote the script for the film, which is based on Laura Hillenbrand's best-selling book 'Unbroken'. The biographical book tells the story of World War II hero Zamperini, who was taken as a prisoner of war by the Japanese army and was declared dead, but returned home to a hero's welcome at the end of the war in 1945. Hillenbrand's previous book, 'Seabiscuit: An American Legend', was adapted into an Oscar-nominated movie starring Tobey Maguire. DeHaan shot to fame in sci-fi movie 'Chronicle' in 2012 and is currently filming superhero flick 'The Amazing Spider-Man 2', playing the role of Harry Osborn. The actor previously said of that script: "It's awesome. It really is. It's human and it's deep and it's also epic and still a huge superhero movie. But it all makes sense and it all comes from very human elements and I think people are really going to love it."